In a move that builds on the healthcare reforms contained in the Patient Protection and Affordable Care Act – and one that will make physicians very happy — President Barack Obama’s fiscal 2012 budget includes $250 million in grants over the next three years to subsidize efforts to help the states overhaul their medical liability laws. If the budget passes, the grants will be administered by the Justice Department in consultation with the Department of Health and Human Services (HHS). As much as $100 million will be disbursed in fiscal 2012, with $50 million in each of the succeeding three years. According to the Justice Department’s budget outline, the grants will fuel reforms that “fairly compensate patients who are harmed by negligence, reduce providers’ insurance premiums, weed out frivolous lawsuits, improve the quality of healthcare, and reduce medical costs associated with defensive medicine.” The grants build upon $25 million in grants HHS awarded last June through the Agency for HealthCare Research and Quality safety and medical liability demonstration projects by states and health systems. “I think the president is very serious about following up on this,” HHS Secretary Kathleen Sebelius, whose agency would advise the Justice Department on awarding the grants, told the Senate Finance Committee. Specific reforms might exclude caps on jury awards that the American Medical Association and Republican lawmakers have wanted for years. At the same time, they include measures unacceptable to trial lawyers, a group that contributes heavily to Democratic candidates. Philip K. Howard, chairman of Common Good, described the budget item as “A very significant moment for controlling healthcare costs.” Based in New York, Common Good has taken the lead in supporting special courts in which judges with healthcare backgrounds would resolve medical liability cases. “With this budget item, President Obama is moving beyond bipartisanship and, in effect, saying that the country can no longer afford the rising healthcare costs that defensive medicine unnecessarily fuels,” Howard said. President Obama also called for tort reform legislation in his 2011 State of the Union address. The cost of defensive medicine to American healthcare consumers is not easy to estimate. Conservative estimates place the cost at approximately $50 billion a year. The Obama debt commission estimated that its recommendations could save government programs $17 billion through 2020, calling for an aggressive effort to rewrite malpractice laws. Gibson Vance, president of the American Association for Justice, described the proposal as “bad policy and bad for patients.” The president’s proposal also got a chilly reception from congressional Republicans, who contend that he has promised more on malpractice than he has been able to deliver. Obama initially voiced an interest in the issue during the lengthy healthcare reform debate. 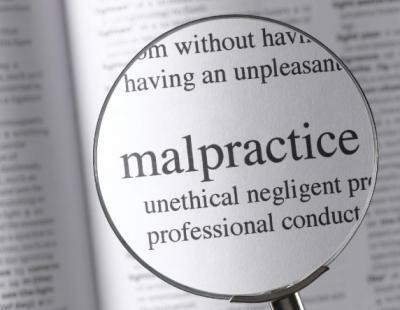 He has opposed another malpractice alternative: capping the amount a patient can receive in a medical liability case. This alternative is favored by many physicians and Republicans, but opposed by the majority of Democrats. “These grants will help states reform their laws to pursue innovative approaches that will improve the quality of healthcare, fairly compensate patients who are harmed by negligence, reduce medical costs and liability, and protect patient safety,” said Justice Department spokeswoman Tracy Schmaler. This entry was posted on Wednesday, March 2nd, 2011 at 4:56 pm	and is filed under General, Healthcare, Hospital Systems. You can follow any responses to this entry through the RSS 2.0 feed. You can leave a response, or trackback from your own site.